So the other day I wrote a post about Tomorrowland entitled "Warning From Tomorrowland" in which I discussed a major plot point and speech by Hugh Laurie's character David Nix. If you haven't read that post yet then I implore you to do so because I consider it one of my better posts. But since that post was originally suppose to be a movie review that turned into that then it's only right that I rightfully review this movie as it's suppose to be. Like I said in Warning From Tomorrowland this movie was pretty good for a kids movie. It seemed like a normal to me from start to end in terms of plot points and everything. I'm not going to get into the people who say the movie didn't really make sense when clearly it did. I know some were saying that they just fast forwarded past the impending crisis and didn't address that year that took between the destroying of the tachyon machine and Tomorrowland being rebuilt. I agree in retrospect and I would say that a sequel would be a great idea and I would definitely spend the money to go see it in the actual theaters and not the dollar theater movies like I did this one. The cast was a solid one with George Clooney leading the way and Britt Robertson giving you something to be desired from a supporting actress. Raffey Cassidy did a great job even though I didn't feel that whole creepy I love you thing her and George had, that was slightly pedo if you ask me. I mean they could have at least had the robot switch bodies for some reason rather than keep her in that little girl state, anything other than that creepy vibe thing. Hugh Laurie played the villain but to me he didn't really feel like that seeing as how I understood his point, but him being reluctant to listen is what did himself in at the end; plus he destroyed Tomorrowland so I guess I can see it now lol. Then on top of that I didn't realize that it was Tim McGraw as Britt's dad in the movie, I was trying to figure that out for the life of me lol. Overall the cast did what they were suppose to do, nothing more and nothing less. The special effects were beautiful, as expected since it's a Disney movie and all. But beyond it being a big budgeted movie, who ever put the visuals together deserves an Oscar this year for their efforts because it looked beautiful. From the house fight to the whole Eiffel Tower splitting in half to images of what Tomorrowland is suppose to look like, a sequel on a grander scale would definitely be a beautiful one. If it's one thing that saves a movie experience for me is when a movie looks great and Tomorrowland did just that, look great. Overall I would suggest this movie if you're into movies with a message and have the time to sit back and understand it. I know most people want action and plot holes that make a movie seem good on the outside. Tomorrowland isn't that movie for you if you're not into thinking while watching a movie. But if you are then I would definitely suggest this movie while you're chilling around on a Sunday afternoon. Like I said before, this is for the crowd that is more conscious than others when it comes to their movie watching experience. 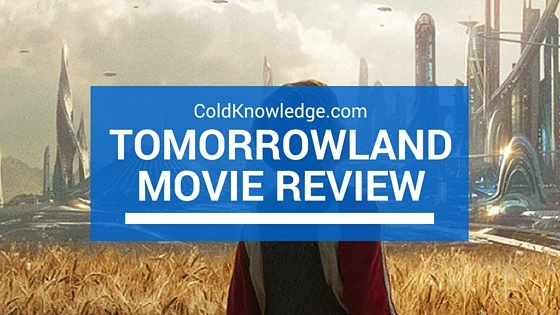 Did you see Tomorrowland? If so, how did you like it? Did you hate it or did you love it? Leave it in the comments below.